Hello, all! 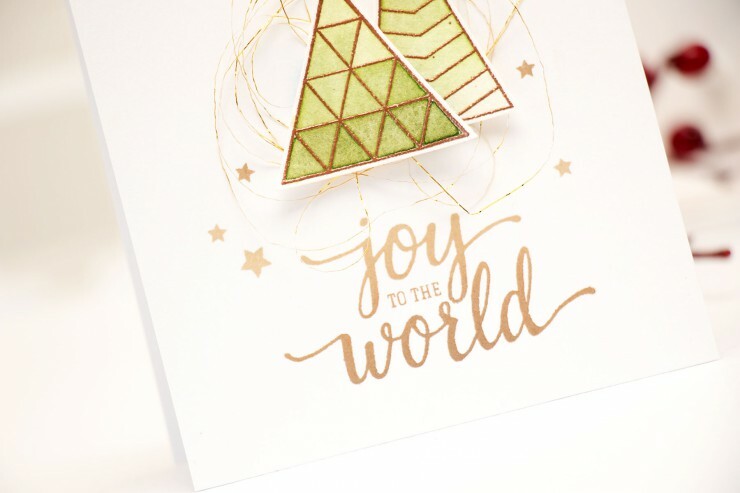 I have a clean & simple Joy to the World card to share today. Created using Hero Arts stamps and a little bit of watercolor this is a very simple card. 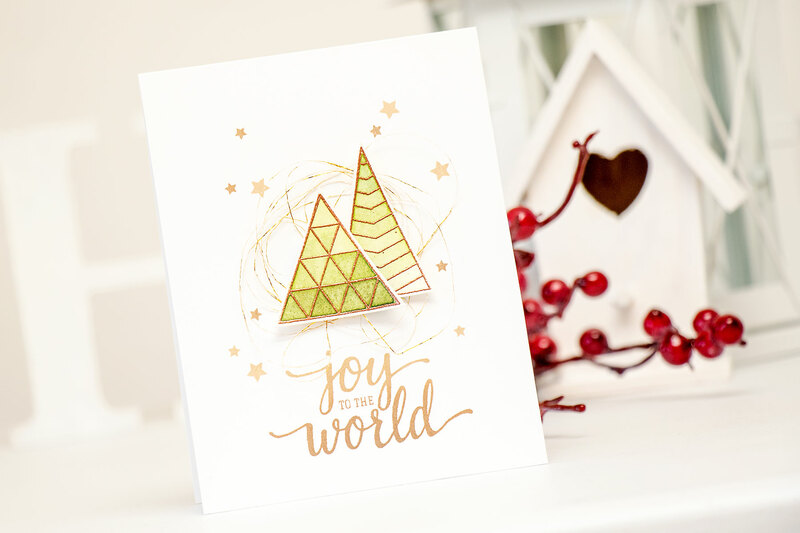 I used a beautiful Joy To The World stamp set to create stylish graphic Christmas trees. 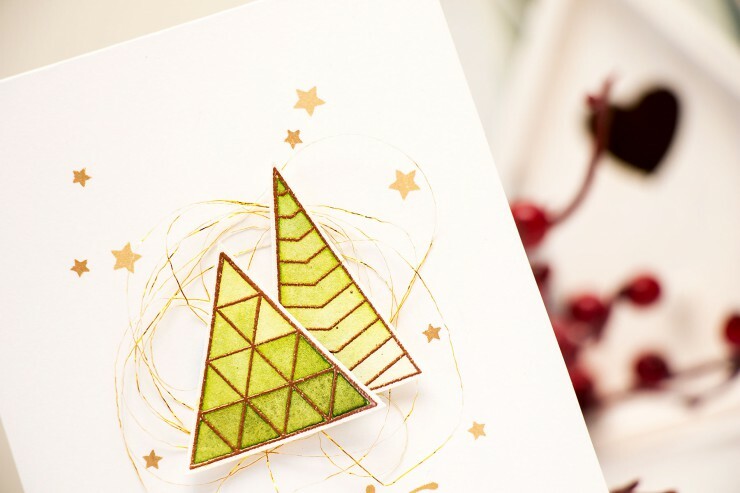 I heat embossed both with Brass embossing powder onto watercolor paper and colored in green. Love how easy it is to color outline images with watercolors. 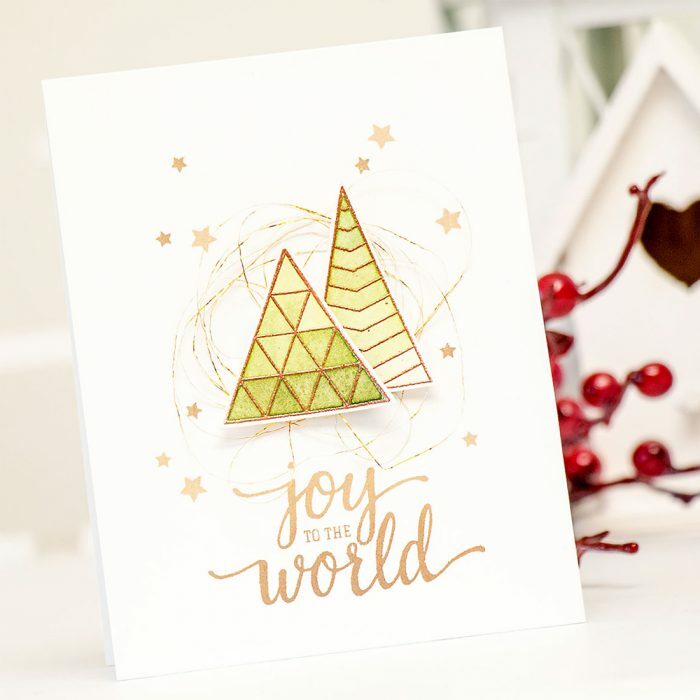 I used Brown ombre ink pad to stamp the Joy To The World sentiment and the stars behind the foam mounted trees. I also created a messy nest using gold metallic thread to add some additional interest to this project. Very nice Yana. I love the stars added. A nice card to mass produce. Thanks. This is spectacular, Yana! Such a pretty pair of trees! 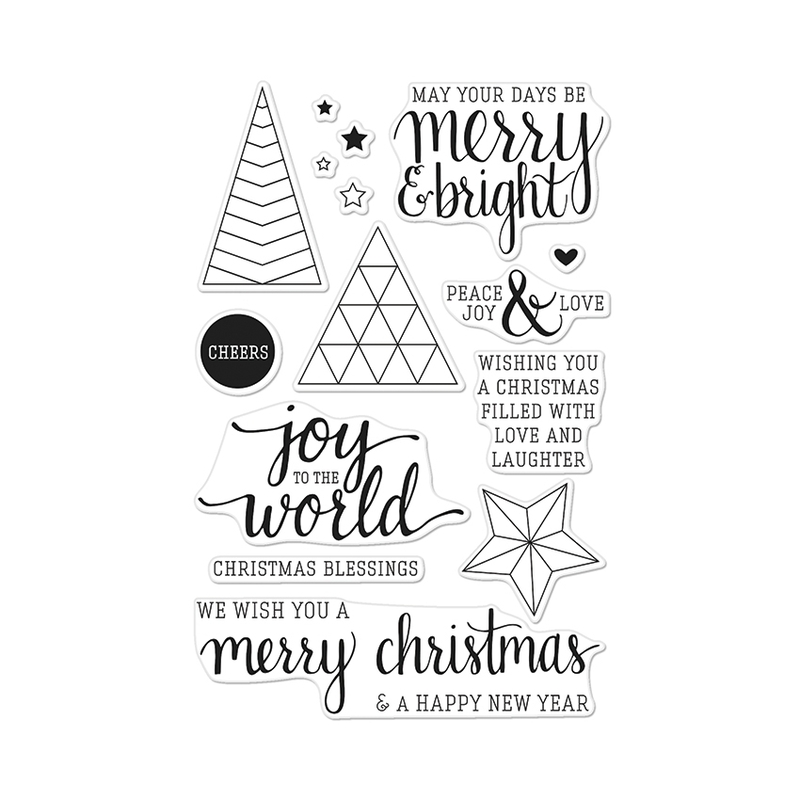 I love the sentiment stamped with the ombre ink! Absolutely stunning! So clean and stylish!